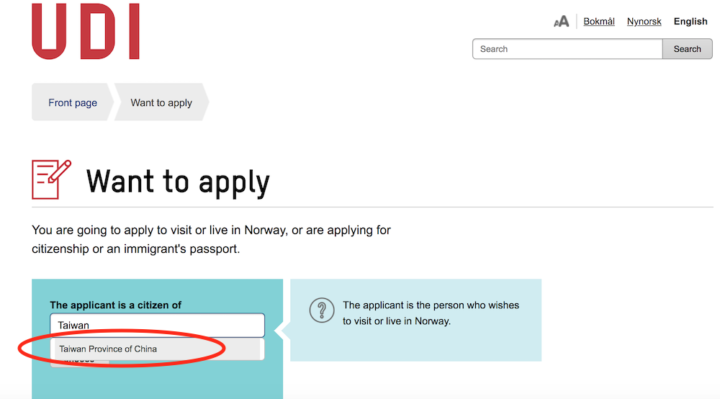 The Norwegian authorities’ kowtowing to Beijing has risen to another level as its immigration agency changed the reference to Taiwan on their website. Taiwan’s Ministry of Foreign Affairs (MOFA) said on Thursday that it has taken measures through its representative office, protesting against the decision of the Norwegian Directorate of Immigration to list Taiwan as part of Chinese territory on its visa application website and firmly requesting for reinstituting Taiwan as a separate and distinct governance. MOFA Spokesperson Andrew Lee (李憲章) said the ministry finds it “regrettable” and “inadmissible” that Norway’s immigration authorities have bowed to pressure from China and made an inappropriate reference to Taiwan on their website. In fact, the Norwegian government has dropped Taiwan on its residence permit card since 2011, despite repeated complaints made by the Taiwanese government and people. Such measure means that Taiwanese students or people living in Norway will have their residence permit card indicate their nationality as “Kina” (China) instead of Taiwan. 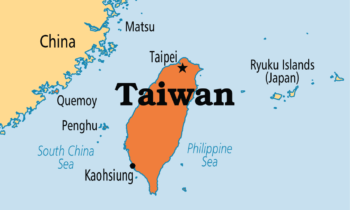 In 2017, a group of Taiwanese students appealed to the Norwegian authorities, requesting them to change how they refer to Taiwan on the immigration document. 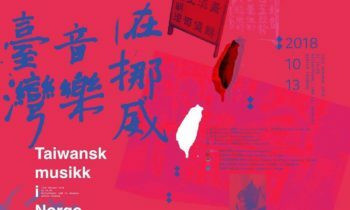 Yet the appeal was revoked by the Norwegian authorities, and now the Taiwanese students are preparing to file a group litigation against the Norwegian government. Lee, in a statement released on Thursday, urged Norway not to concede to Beijing’s bullying of Taiwan. The Ministry will continue to approach the Norwegian authorities to ask for reference changes, and it looks forward to seeing a response from the Norwegian government that is based on the democratic values shared by the two nations, added Lee.